Chase away those Monday blues with a different kind of blue. An all-new shade from the French luxury house’s Fall-Winter 2018 lineup, Bleu Encre comes with a purple-like undertone depending on what light it is under, but is overall much like a darker shade of navy. 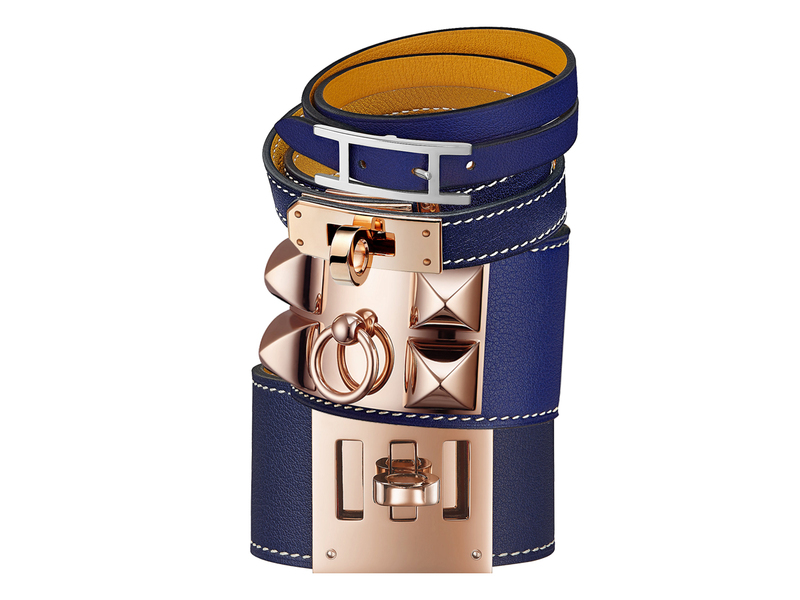 And here are 4 different bracelets you can definitely consider, now available across Hermès boutiques for you to add to your collection. First up, the Behapi (SGD490), a simple double tour bracelet that comes with the ‘H’ hardware and can be secured and adjusted up into 3 different holes. Better yet, it comes with a contrasting shade of Ambre on the reverse side, allowing you to wear it the other way around if you so please. For those who prefer bracelets with a little more chunk, that’s where the Kelly Double Tour (SGD760) comes in. Its chunkier counterpart would be the Kelly Dog (SGD850), a single cuff that has spawned off an entire family of bracelet pieces. Both pieces come in either PHW or RGHW and carry the exact same price, so it’s very much down to which hardware colour you prefer. Rounding up the lot is the Collier de Chien (SGD1700) bracelet, Hermès’ truly iconic piece finished with 4 pyramid studs and a ring that’s unmistakable from afar.